103/365 This Swago has ended. 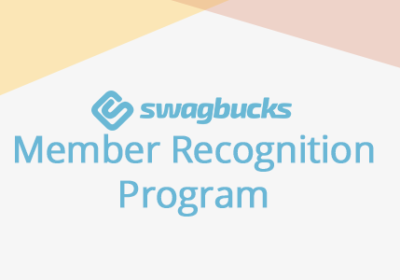 There’s a new Swago up on Swagbucks. 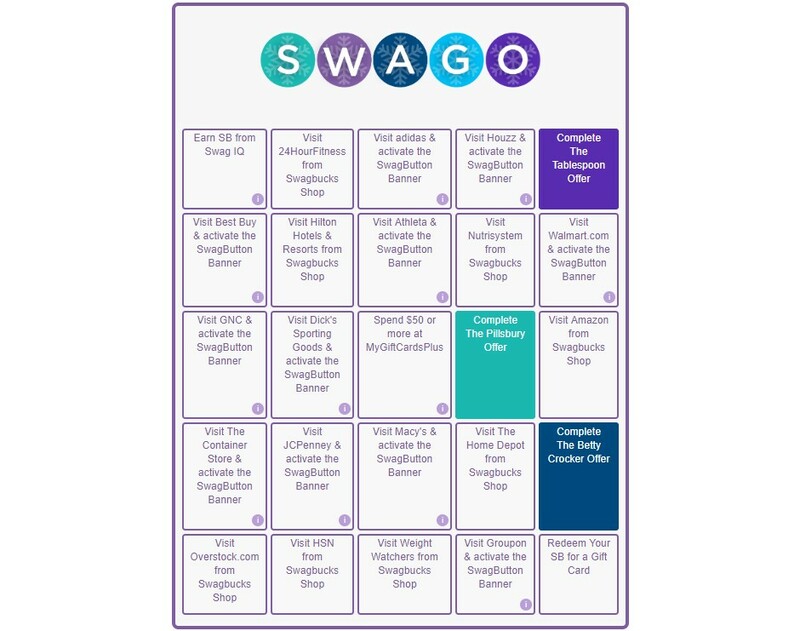 It’s a shopping Swago which means lots of click-throughs to stores. I usually do these a couple at a time to make sure they’ve gone through, and then close the browser tab that they opened in. Read on to learn about some of the squares if you are unfamiliar. 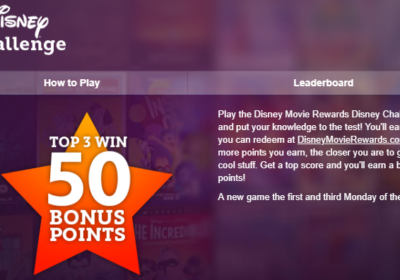 Download this fun trivia game to your smartphone and play each weeknight Monday through Thursday. 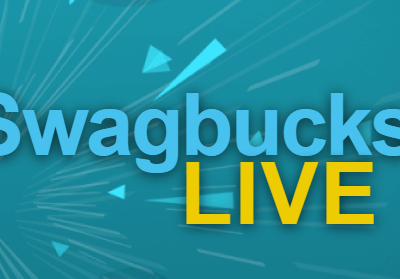 Some questions have bonus SB attached, so you don’t actually have to win the game in order to earn from SwagIQ. I’ve only won a handful of times. Even an easy game seems to get harder as the questions go along, so I’m out before the last one anyway. 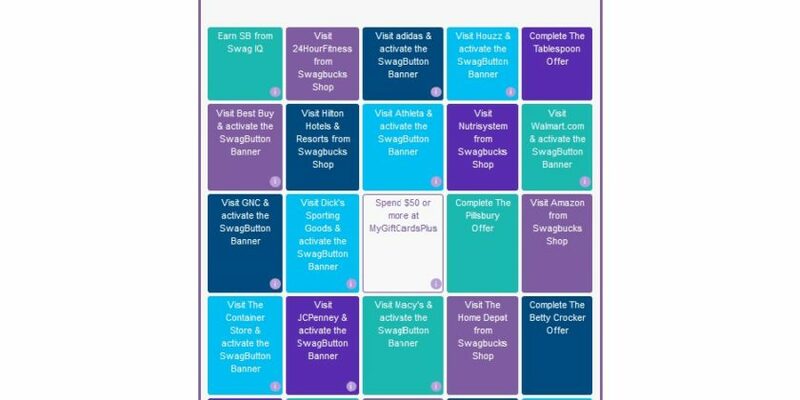 To claim your bonus SB, you have to stay to the end, even if you get out. If you need more information, see this post. If you choose to complete this square, be sure to do so early in the week to allow the transaction to process. 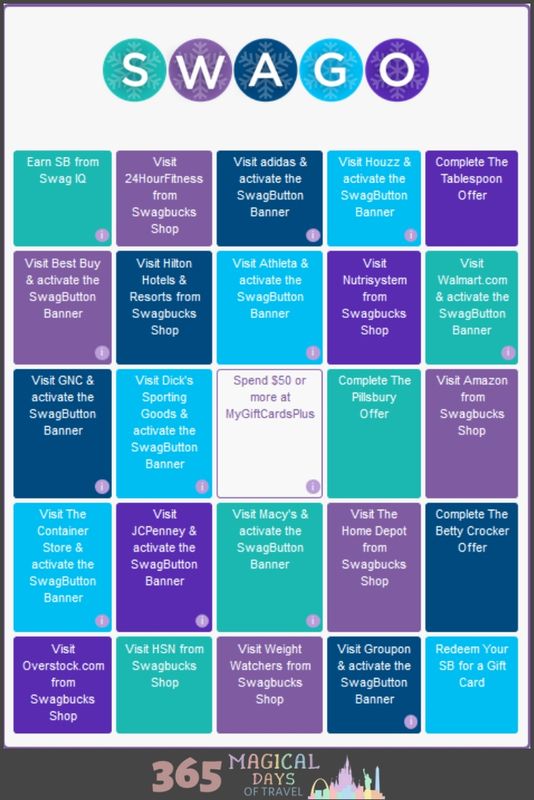 I chose to skip this square since I have enough gift cards and they are not offering enough of a bonus to make it worth it to me this time around. This time, there is a new pattern you can submit, eliminating the middle square (which is only worth 50 SB) so you can easily skip it. Thank goodness!